Jeremiah Lee, designer of the award-winning Zombie In my Pocket, is back at it with a fast-playing, zombie-themed game. Zombie House Blitz is a fast-paced 2-4 player card game, in which players are trying to evacuate a house of 10 people during an invasion of zombie hordes. Each player has their own deck of cards, and are trying to help the people in their house to escape, all the while being attacked by zombies, AND having other players jump in their escape vehicles, leaving no room for them. My first look at it reminds me (Jeremiah) of a game that some friends and I play called NERTS, which is basically Solitaire with multiple people, and everyone can use your aces in the middle of the table to play their cards and vice versa. We've played NERTS (I have no idea why it's called that) with everyone from teenagers to some of our regular party game type friends. Zombie House Blitz puts a fun, themed spin on the game and gives you the color-coordinated decks so you're not searching for four different decks of playing cards. 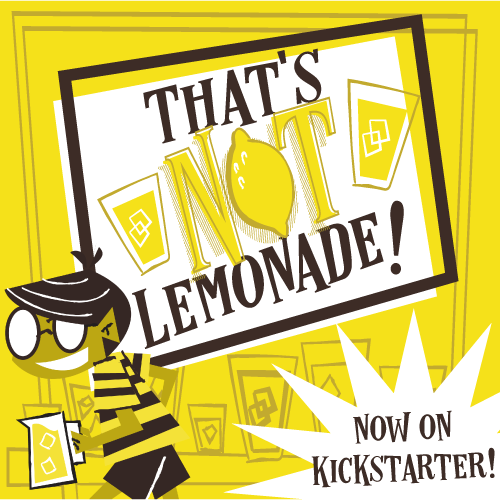 It's important to note that this game is NOT going to be brought to market through the Kickstarter campaign. Their goal is to simply produce as many copies of the game as are purchased via backing the game, so if you want this one, you're going to have to back it! The campaign is about halfway to being successful and you can get in and get your copy of Zombie House Blitz for $18. It looks like some pretty sweet stretch goals are going to be put in place as well, including hitting "like" milestones on Facebook to unlock "trick taking rules"! You can find the campaign here, with lots of videos and images, including a gameplay explanation.